So, I’m a Jim Gaffigan fan… and I am sure you have heard his famous words by now… if not, check out this awesome comedy gold… it’s worth the 7 minutes, I promise! He pretty much sums up my thoughts exactly. And I actually am Puerto Rican. I also used to be Muy Guapo… My maiden name is Guzman. True story. We had our last two babies with a midwife too. Basically I want to be best friends with Jim and his wife. Back to Grace, our fourth. She’s awesome. A huge punk who won’t let me sleep, but awesome nonetheless. She meets my gaze with a smile 97% of the time. 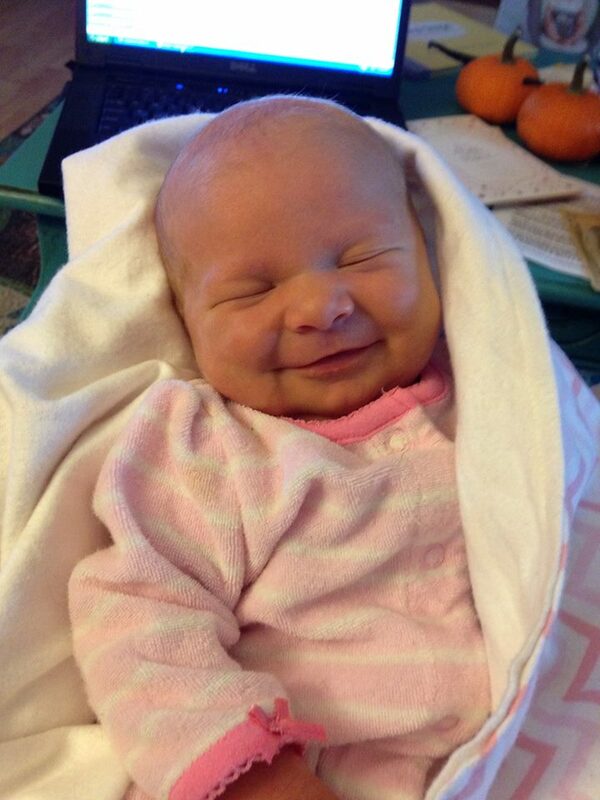 she smiled early at 2 weeks. like not just the gassy smiles… the real ones! The best thing about her is that she’s my girl. My dolly, my sweet female confidant in the house of testosterone. 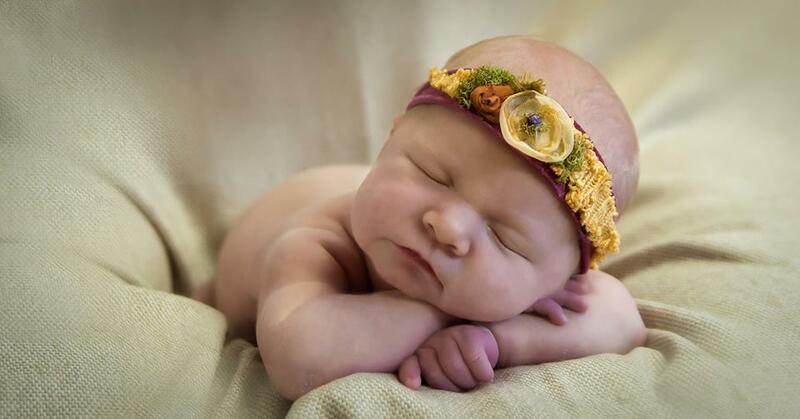 I can’t wait to see who she’ll look like (she is the spitting image of her brothers so far), what she’ll sound like, her first words, when she’ll get hair… etc. I am so thrilled that you will be along with me for the ride in mothering four kids, sharing my struggles and triumphs of motherhood. Pray for me and I will for you!